When looking to purchase a new wheelchair accessible vehicle or other mobility device, it is important to do your research. Not just on the product itself but on the dealer you are going to work with. Buying a new or used mobility vehicle or product is a big investment. It is also the tool that can give you the freedom to drive or be transported from home to wherever you need to go. The BLVD team asked several mobility customers what they needed to have a satisfactory buying experience. The majority stated it started with finding a great mobility dealer. We have pulled together helpful tips and resources so you can find the best dealership near you. Here are the top five things to look for in a mobility dealer. When it comes to researching and ultimately purchasing an accessible vehicle, scooter lift, or other mobility device, we all want choices. Consider the number of products and manufacturers that the mobility dealer represents. This will allow for you to see not only the premium brands but also those that are more cost effective if price is your priority. You will have to determine what your budget is but the dealership will be able to explain the cost differences in the various makes and models. In many cases, when you pay more the quality is higher and the longevity of the product is better. However, you may not need every bell and whistle. That is why it is important for you to see all the options available to find the right product to fit your needs. 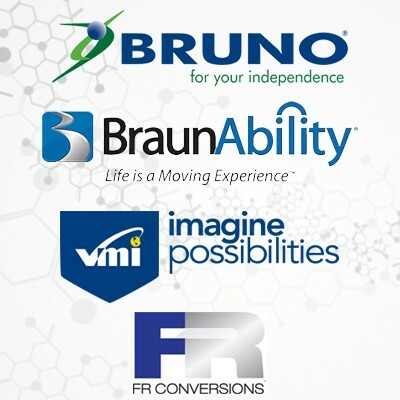 Your partner in the sales process will be a Certified Mobility Consultant. This individual or team or individuals will be the expert on the various products or vehicles you are interested in. When you call or stop in to the dealership, ask any and all questions you have as well as if there are any rebates, grants, or financing options available. The Mobility Consultant should be able to explain more on all of these areas. The other key to a successful partnership with a mobility dealer is having excellent service from Certified Technicians. Ask if the technicians are well-trained with the product they are working on. That way when you have an issue or if there is a problem, you can have the confidence that knowledgeable people working on your van or lift. The dealership should also offer a Preventative Maintenance Inspection (PMI) for your vehicle or lift annually. This ensures the equipment is kept in a good working order and minimizes the chance of failure or breakage. Think of the certified technician and the PMI as your annual doctor visit. The better you maintain it, the better it will function. One way to know if a mobility dealer is considered safe and reputable is if they are a NMEDA Dealer Member. 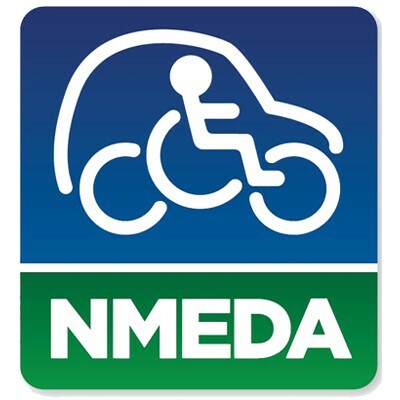 NMEDA stands for National Mobility Equipment Dealers Association and this organization has established industry standards on the safety, reliability and accessibility of all mobility products. All NMEDA Dealer members are required to follow all National Highway Traffic Safety Administration standards as well as be enrolled in the Quality Assurance Program™ (QAP). This mandates the mobility dealer follow strict safety guidelines to ensure the installation of the equipment is correct and consistent. Typically, you can find out if the dealer is a NMEDA/QAP Dealer member by visiting their website. Or you can visit the NMEDA website to see a complete list of dealers. Just like you want to see different products at a mobility dealership, you also want to see several options for what you are looking for. That is why it is so important to consider the inventory available. 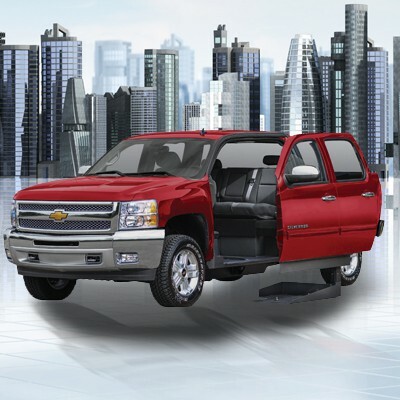 If you are in the market for a new wheelchair accessible vehicle, you may want to see both rear entry and side entry vans to compare and contrast each type. A mobility dealer who has a lot of inventory will be able show you all the different offerings for fit and finish as well. After you see what is available, ask to demo the vehicle or product. This will give you a real-time experience of what you could be buying. Furthermore, you can ask to take a test drive and see how it will work for your needs. All of this will help you make your final decision on your big purchase. A great way to research a dealer’s inventory is on Dealer page on BLVD.com. This is a great way for you to see what is available before you stop in. 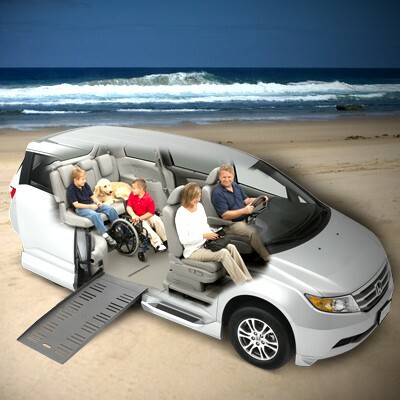 A step further than the test drive is renting a wheelchair van. This will give you the ability to see if the product works for your needs and makes your life easier. Ask the mobility dealer about rental options and if there is a vehicle available that is similar to the one that you are considering to purchase. Also, many dealers will offer a discount or apply the rental amount to your purchase after you rent a vehicle. There is no better way to know if the vehicle or product will suit your needs like taking it home or using it for daily living. This minimal investment can really help you see, touch, and feel what the product offers before you buy. Renting a wheelchair van is also a great option for short term needs. Ask the mobility dealer about what options they have or visit the Rental page at BLVD.com. Ultimately, the decision is up to you on which mobility dealer you want to work with. There may be other factors that are important to your buying process such as the dealer staff should be responsive, friendly, and provide excellent customer service. Just remember that how they attempt to earn your business is very much a part of how the dealership is operated. Also, be sure to ask friends, family or local organizations like the Paralyzed Veterans of America if they have any referrals. We hope this post has been helpful to you and we wish you the best with all of your mobility purchases!